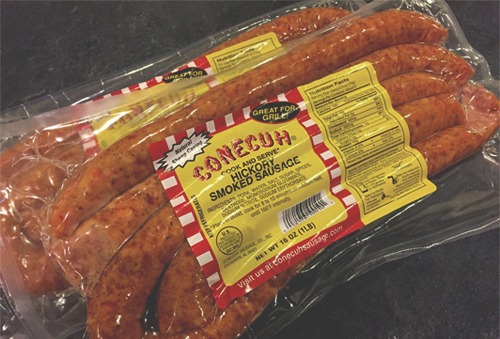 Conecuh hickory-smoked products began back in 1947 and include smoked sausage, ham, bacon and turkey. Their processing plant in Evergreen has a gift shop offering all of the Conecuh Sausage products, plus unique gift items, home decor and hunting accessories. Monday-Thursday 7:30 a.m.-4:45 p.m. and Friday 7:30 a.m.-3:45 p.m.